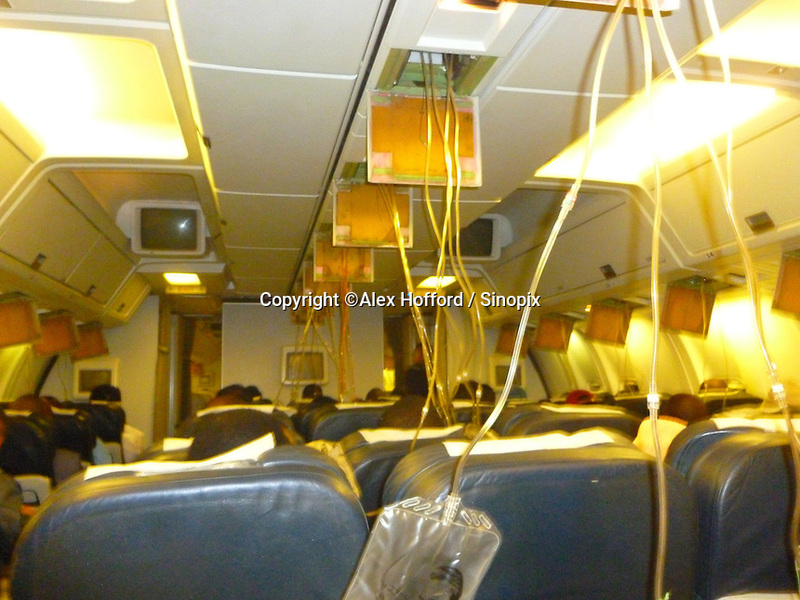 A photo taken by a passenger of Ethiopian Airlines flight ET609 from Hong Kong to Addis Ababa shows the aircraft cabin with oxygen masks deployed during a two hour diverted flight back to Hong Kong, China, 14 June 2014. According to passengers, the aircraft lost cabin pressure, dumped fuel over the ocean, and had to return back to Hong Kong where ten fire trucks as well as other emergency service vehicles were waiting. The plane landed safely, and no one was hurt.